Previous PostMore Evidence That Sugar is the Major Toxin in our DietsNext PostShould You Get a Routine Annual Electrocardiogram (ECG)? 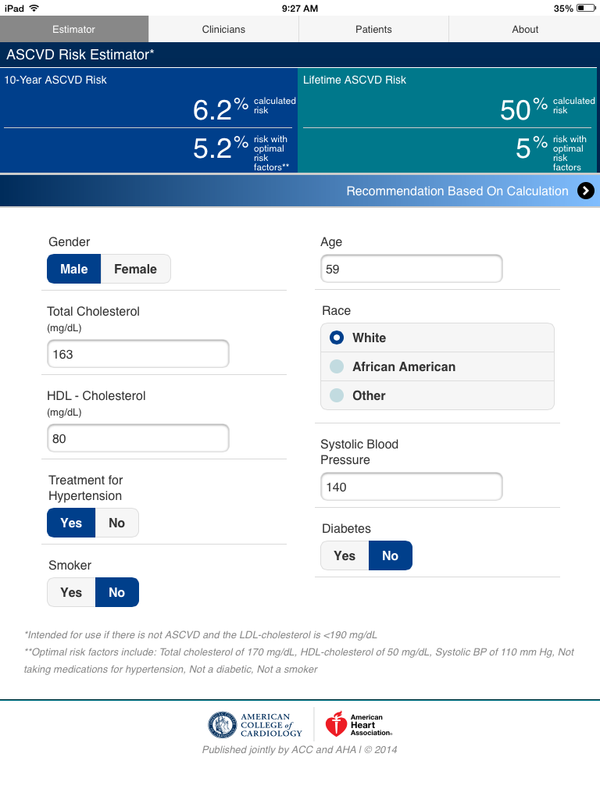 The link “”HERE” to the ACC iphone/ipad app version of the risk estimator available on itunes didn’t work, but if you search on your iPhone / iPad APP STORE app … searching for ASCVD Plus, you can find it. I also notice multiple other apps, including the free MEDICODE app that seems helpful. Of course: both WebMD and Medscape free apps have useful heart information as well. I’d be interested in any suggestions you might have – thanks for the blog! Thanks for the info and heads up on the bad link. I’ll correct it shortly. ASCVD Plus is an update to the original app I mentioned in first post I wrote on this.